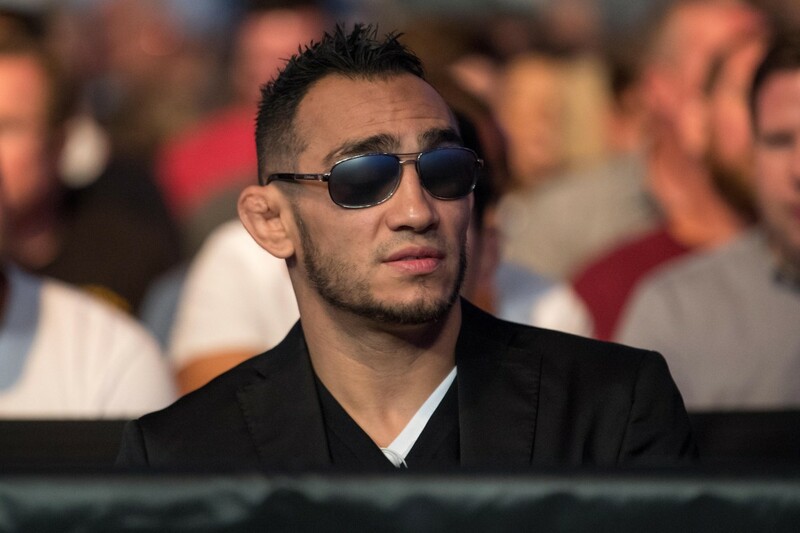 It appears that Tony Ferguson will return from injury at the UFC's biggest show of the year. MMA Junkie first reported last night that Ferguson will face Anthony Pettis at UFC 229. That pay-per-view is taking place at the T-Mobile Arena in Las Vegas, Nevada on October 6 and is being headlined by Khabib Nurmagomedov vs. Conor McGregor for the lightweight championship. The UFC has yet to officially announce Ferguson vs. Pettis. Ferguson, who was then interim champion, was supposed to face Nurmagomedov in an undisputed title fight at UFC 223 this April with McGregor being stripped of his belt, but Ferguson suffered a knee injury while promoting the event and had to be replaced. Max Holloway initially stepped in to face Nurmagomedov, but problems with his short-notice weight cut led to Nurmagomedov instead defeating Al Iaquinta to become champion. With Ferguson on the same card as Nurmagomedov vs. McGregor, he would likely be the backup plan for the main event if anything were to cause Nurmagomedov or McGregor to be unavailable to fight. Ferguson tweeted yesterday that he has three opponents to train for.